Across the globe it is becoming more appropriate to break the old codes of convention by wearing fashionable, chic and even edgy apparel. Golf apparel brands such a Nike, Callaway, Greg Norman, and Polo Ralph Lauren have outfitted golfers in America for years. These well-loved brands continually introduce designs into their lines and will always have a large share of the market. However, as golf has become more global so has golf style. International designers are bringing fresh perspectives into the American sportswear market. Here’s a line up of several brands making a spark in the US market. Raised in Scandinavian nature, Cross Sportswear garments are designed to fashionably protect you from wind, rain, and sun. Two Swedish companies, Cross Sportswear and Kjus, offer premium collections of re-invented classic designs and fabrics that are high-fashion, and functional. Kjus began as a skiing outfitter which applied its innovative technologies and stylish design to the golf course. Cross Sportswear was founded by two golfers who were frustrated that there was no water resistant rainwear that gave them freedom of movement on the course. Both of these Scandinavian brands will take your style game to the next level. The chic Scandinavian brand Kjus, stands for extraordinary design, outstanding quality, and maximum performance. The Italian brand, Chervò meets the mark of high quality garments with a fashion focused design. 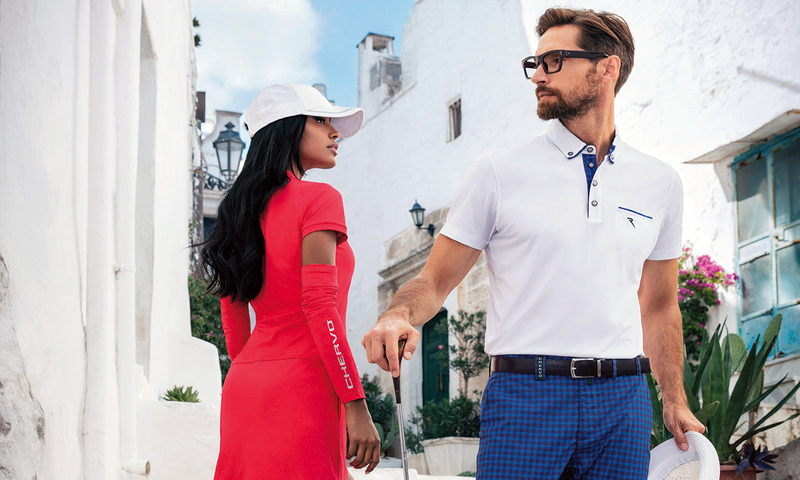 Chervò, Italy’s prestigious sportswear company, recently announced they are committed to taking the brand to a leading position in America with their innovative golf clothing for men and women. Aimed at a clientele that loves to express their own individuality and lifestyle by wearing innovative apparel, Chervò meets the mark of high quality garments with a fashion focus. 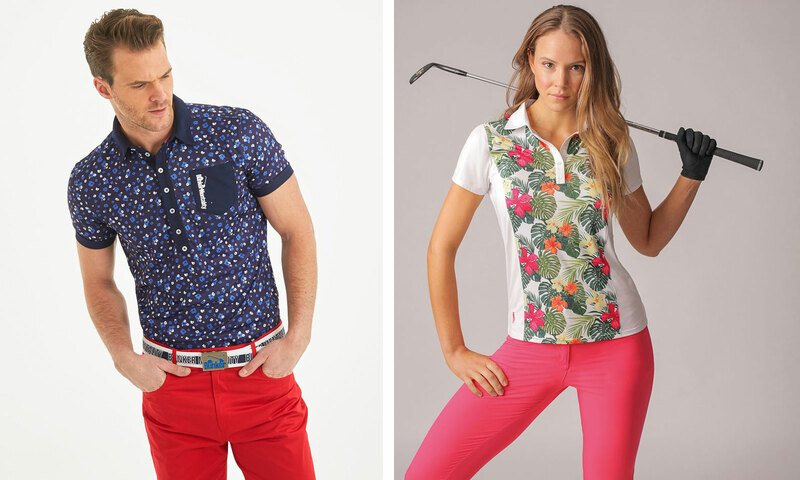 With bold prints, subtle details, and quality fabric, UK designer Ted Baker’s golf collection is truly one of a kind. British designer and fashion icon Ted Baker has always had his focus on quality, detail and a sense of humor. His latest offerings in the golf apparel continue his signature lines, known as ‘No Ordinary Designer Label’ with whimsical prints, technical fabrics for golf clothing full of function and smart innovations. 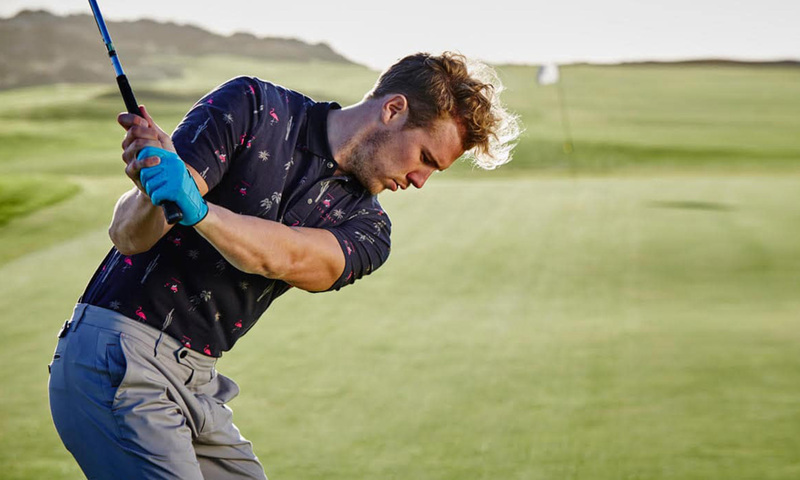 Bunker Mentality, the UK golf-obsessed company, is, in their words, “devoted to golf and dedicated to style.” Their clean lines and fashion-forward collections offer golf apparel that captures the trend-setting market. However, if classic rather than whimsey is your style, Glenmuir’s Scottish heritage golf brand combines playability and reliability in a stunning collection for men and women that captures the essence of Glemuir’s ‘Never Weather-Beaten’ mission. Glenmuir is also the official supplier of shirts and knitwear to the European Ryder Cup Team. 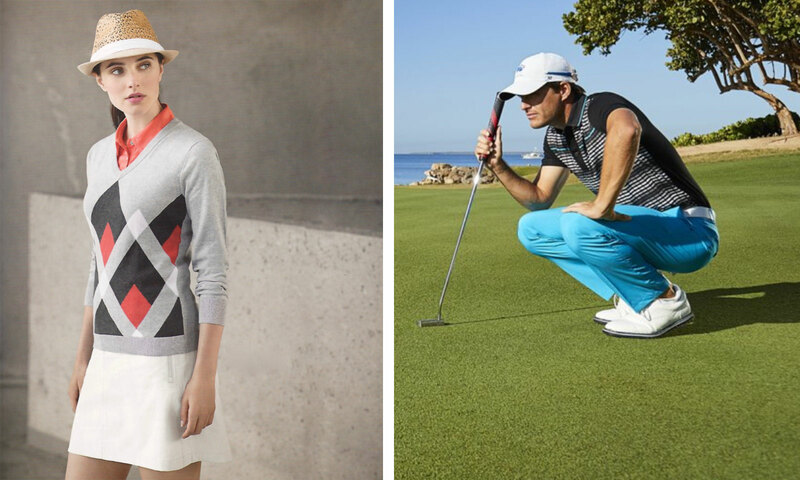 Bold and brash, Bunker Mentality offer golf clothing for the fashion conscious. | Glenmuir is a Scottish brand that is synonymous with quality and style. 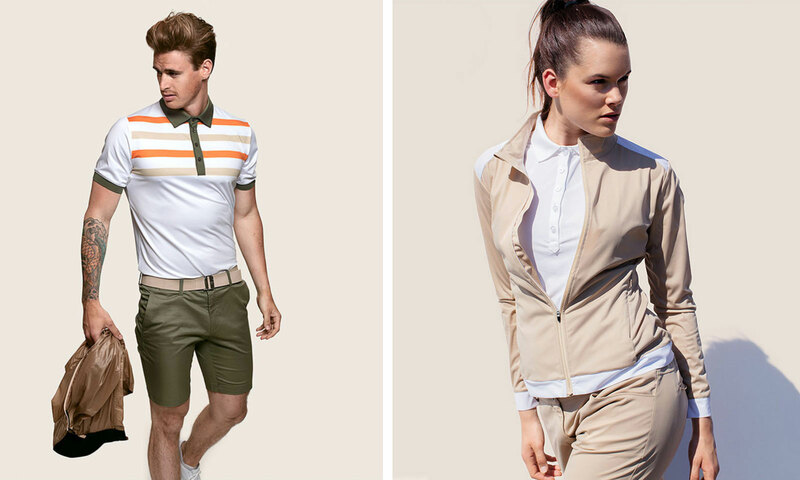 Hugo Boss Golf collection is for function and design driven golfers. From the German fashion fortress, Hugo Boss, comes clothing that will take you from the course to the 19th hole and beyond with casual to dress looks meticulously crafted in impeccable style. Boss continues to excel in creating luxurious, trendy sportswear with technical materials and clever detailing. Nivo and Sligo offer highly functional golf apparel for both male and female golfers that like to reveal their sense of style. Brands like Chervò are bringing fresh perspectives to the fairways. In the past, golf was notorious for its somewhat stuffy manner and attire. The game itself has evolved to embrace an increasingly diverse, international face. Reflectively, it is becoming more appropriate to break the old codes of convention by wearing fashionable, chic and even edgy apparel on the links. It is impossible to deny the influence that international designers are gaining in the golf wear market. Most of the companies offer online shopping and ship to many countries worldwide. Many have store locations in the US, and are available in pro shops at various clubs as well.